This pattern will surely be appreciated by young people. A modern, geometrtic pattern consisting of cubes stacked on each other creating a 3D illusion. The finished blanket measures approximately 56” x 88”and fits on a full-sized bed, but you can adjust the size according to your needs. You can also choose as many colors as you like, but to get a full 3D effect you will have to use at least 3 colors. 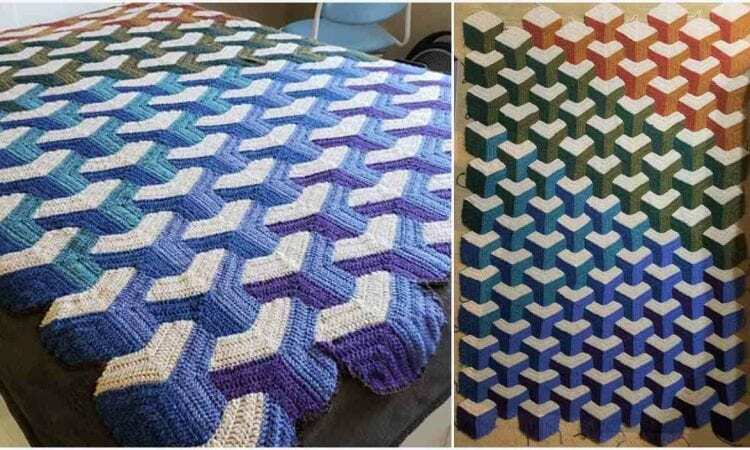 A link to a free pattern is at the end of the post.